An interview you don't want to miss. 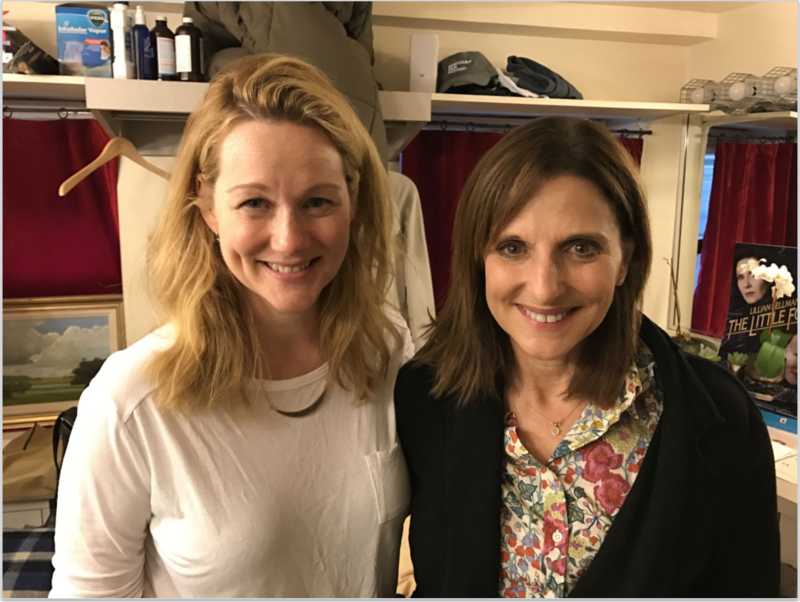 Growing up in New York, Laura Linney was inspired by her father, the late playwright Romulus Linney and her mother, Ann Leggett Linney, an oncology nurse. Linney’s acclaimed films include You Can Count On Me, the Squid and The Whale, Kinsey, Love Actually, and Mystic River. Linney’s latest TV project is the compelling Netflix drama series, Ozark, with Jason Bateman. The Oscar and Tony award nominee, and four-time Emmy winner, recently completed a successful run on Broadway in Lillian Hellman’s melodrama, The Little Foxes, set in America’s Deep South at the turn of the 20th century. Linney is married to drug and alcohol counsellor, Marc Schauer; they have a young son. Here, the accomplished and inspiring actor talks to Elaine Lipworth about what thriving and leading a good life means to her. The podcast was produced by Graham Judd. Graham Judd is an award-winning documentary filmmaker who believes in the power of storytelling to deliver social change. He began his career in the BBC before moving to New York to develop and deliver documentary series, primarily for PBS. Other networks his films have aired on include ABC,History and Discovery. Among his other credits are the PBS series “AfricanAmerican Lives,” which re-tells the story of the black experience through the family histories of well-known African Americans, and the PBS series “This Emotional Life”, which draws on the latest scientific research to create a roadmap to emotional health and happiness. Between 2010 and 2016,Graham lived and worked in Bangladesh, where he pursued his interest in international development, by serving as communications director for a major global health research institution. Now based in New York, Graham specializes in impact-focused storytelling addressing key social challenges locally and globally. US based award winning writer/journalist Elaine Lipworth reports and writes about film, lifestyle and personal growth.